The Wharton Work/Life Integration Project conducts longitudinal research of the evolving lives of Wharton students and alumni and studies best practices for integrating work and the rest of life. Our research has produced knowledge for action that has been applied in courses at Wharton and in Penn’s Law School, Engineering School, School of Medicine, and universities worldwide. Our research produces knowledge for action that is applied in creating positive sustainable change – for business, families, society, and individual well-being – in public and private sector organizations. We broadcast on SiriusXM Channel 111. Since the early 1990s our research, education, and impact has been covered widely, both domestically and internationally. The Wharton Work/Life Integration Project was founded in 1991 to produce knowledge for action on the relationship between work and the rest of life. Many organizations and universities have contributed to this mission. Practical insights and informed opinions to help people gain a meaningful perspective on integrating work, family, community, and the private self. Understand how students and alumni think about and value their interests in life: work, education, family, society, and the private self (mind, body, and spirit). Encourage members of the Wharton community to reflect on their central life interests and to explore how those interests are influenced by their Wharton experience, how they differ for various demographic groups, and how they change over time. Have an impact on corporate and social policy about the relationship between work and the rest of life through research and conferences that connect scholars, students, advocates, and organizations in the private and public sectors. Contribute to the sciences of organizational psychology and adult development. 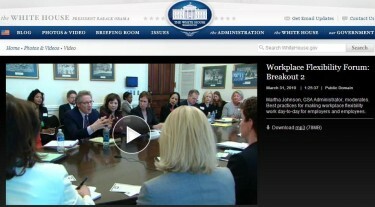 Create materials for courses on leadership, careers, human resources, and ethics. Inform Wharton faculty and administration about student and alumni attitudes. Wharton and SiriusXM are partners in producing Business Radio. Stew Friedman hosts the Work and Life show weekly on Tuesdays at 7:00 PM Eastern on SiriusXM 132, live from our studio in Huntsman Hall. Check out free podcast version of previous shows here. Stew Friedman’s bestselling book, Leading the Life You Want: Skills for Integrating Work and Life, grounded in W/LIP research, is the basis for a highly-rated MOOC now available on Coursera. Friedman's Total Leadership: Be a Better Leader Have a Richer Life -- another bestseller, also based on W/LIP research -- is available in paperback and in Chinese, Japanese, Korean, Polish, Portuguese, Russian, and Spanish. 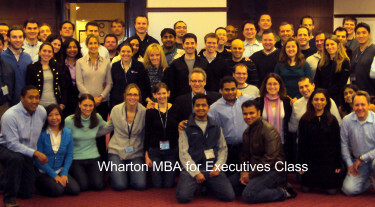 The program it describes is a Wharton MBA course and is used by organizations world-wide. Results are described here. This Penn Today story describes the innovative program for junior faculty at Penn that includes Total Leadership: Be a Better Leader, Have a Richer Life as an essential element in helping participants find harmony among the different parts of their lives while improving performance in all of them. Assess your Total Leadership Skills and find out whether your strengths are like those of leaders such as Tom Tierney, Sheryl Sandberg, Michelle Obama, and Bruce Springsteen. Compose your Four Circles exercise to see whether the four domains of your life – work, home, community, and self – are aligned, generate ideas for bringing them into greater harmony, and get feedback on your analysis and plans. Find more tools here. Does Corporate American Finally Get What Working Parents Need?